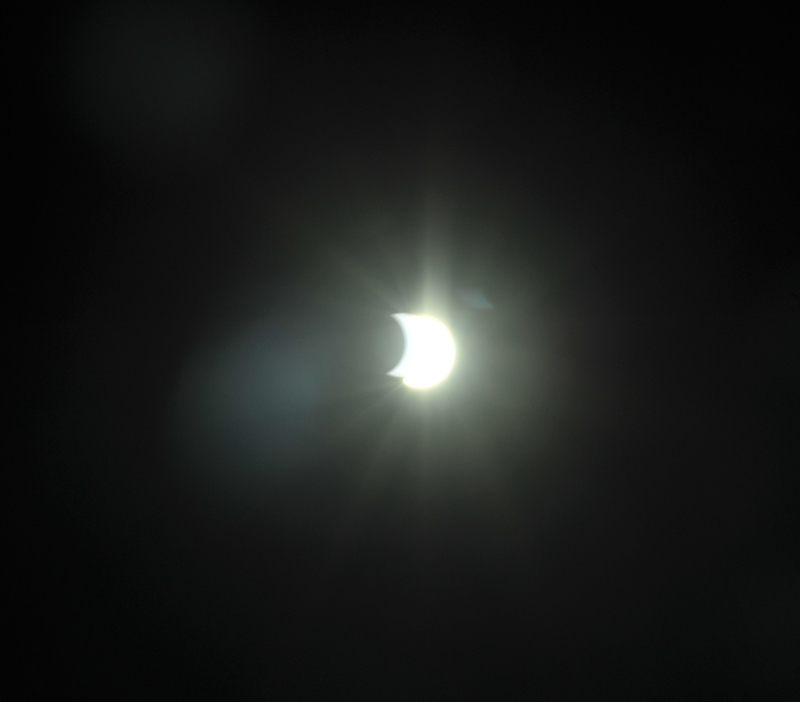 No prizes for guessing where I watched the eclipse from then. It coincided with my morning coffee today so I whipped out the iPhone and took a few shots. It's just about impossible capturing the actual passing of the moon in front of the sun as the digital sensor just gets swamped with light. 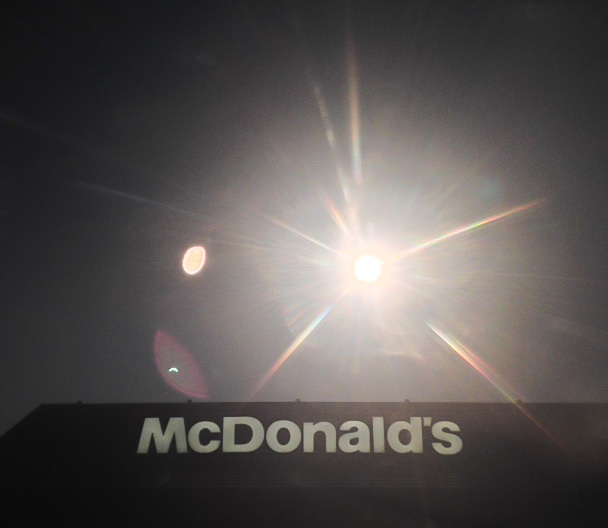 The McDonald's sign was invisible in the dark shadow of the building until the eclipse got well underway and some bright spark decided to switch the lights on. Good move! The shot at the top was done though two sun glass lenses and the windscreen of my car, hence the softness and flare. The one above was just a straight shot of what was happening but with HDR mode switched on. It didn't seem to make much difference at all. I can never normally be bothered photographing these events as they're just about impossible to do well or with any degree of creativity unless a lot of thought and planning goes into it - and thought and planing aren't my strong suits. When I got home I put the 10-stop ND filter I have on a Nikon zoom and grabbed the shot above with the D700. The eclipse was almost over by this stage. 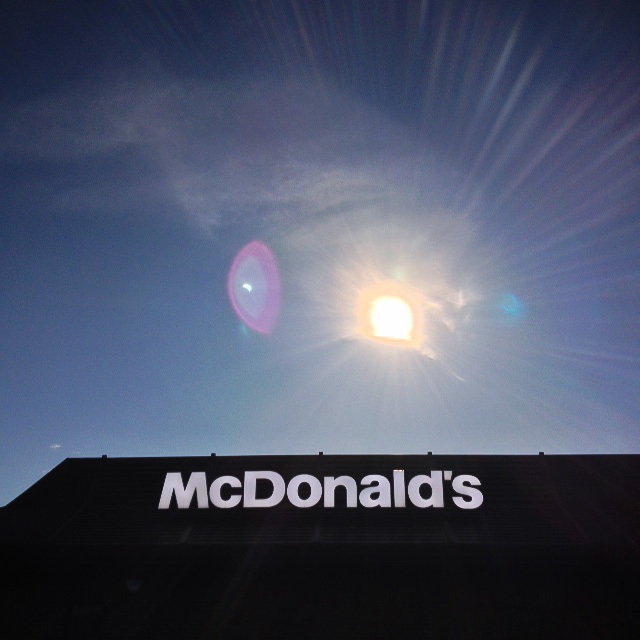 This shows the problem of photographing the sun like this. A ten-stop ND filter, the lowest ISO setting on the camera, the lens stopped right down and maximum exposure compensation dialled in were needed for this shot - and it's still crap! You have a iPhone!!!!!!!!!!!!! ???? ?